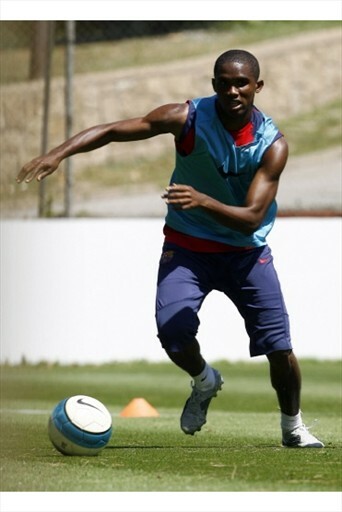 Rijkaard "We have enough players for our new adventure"
FC Barcelona's Cameroonian player Samuel Eto'o trains at Camp Nou stadium in Barcelona, 15 June 2007. 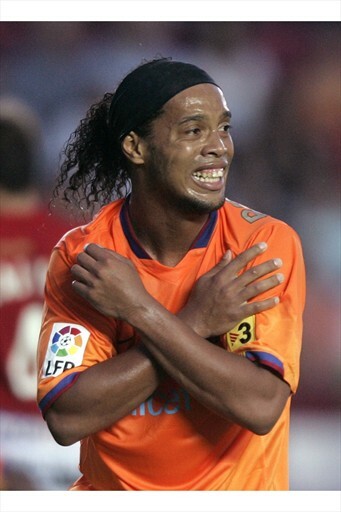 FC Barcelona is to play 17 June 2007 the last 2006/2007 Spanish League footbal match against Gimnastic. 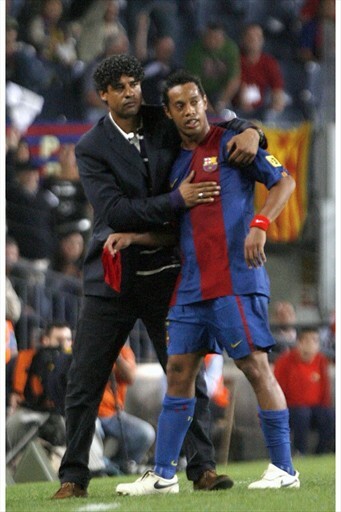 Barcelona's Ronaldinho (R) leaves the pitch with his coach Frank Rijkaard after he received a red card during their match against Getafe at Nou Camp Stadium in Barcelona, May 26, 2007. 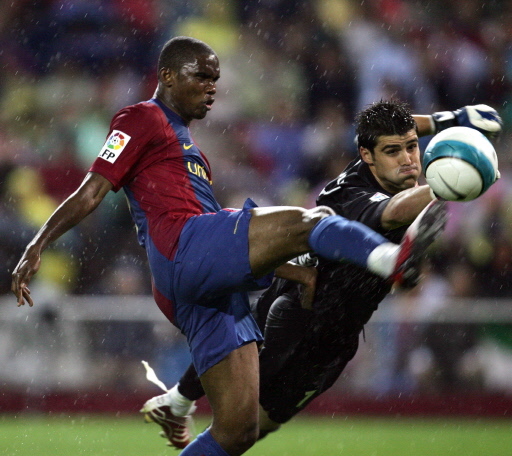 Atletico de Madrid´s goalkeeper Pichu (R) vies for the ball with Barcelona´s Etoo (L) during a Spanish league football match, 20 May 2007, at the Vicente Calderon stadium in Madrid. AFP PHOTO/ Bru GARCIA.